In an eBook titled Discovering Architecture: Built Form as Cultural Reflection, Frank Jacobus explores architecture as a cultural phenomenon and uses building type as a window into culture. 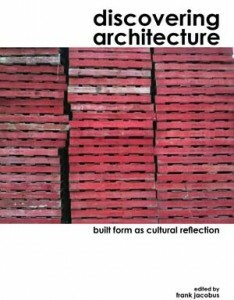 Essays examine the architecture of memory, daily life and the city. The book, which is published by Kendall Hunt, includes essays by Alison Turner, Marc Manack and Amber Ellett.